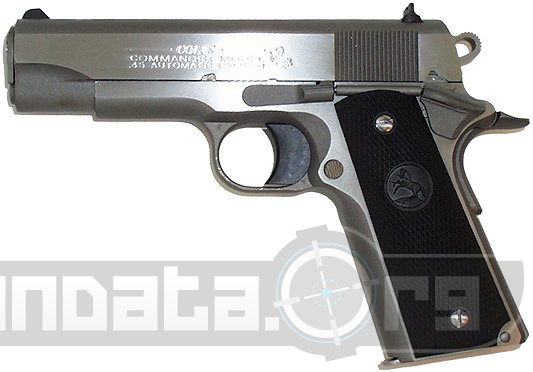 The Government Model .45 ACP Commander issue has a short barrel if you compare it to the other 1991 colts. (just 4.25" while the others are 5") The gun has a mag capacity of 7, a stainless steel receiver with brushed metal finish. The slide is also stainless steel with brushed metal. This gun has a solid aluminum trigger, is a single action only model, and has a overall length of 7.75" in total. The gun still weights in at 32.5 ounces however.